Natural Hair Is My Brand | New Growth Hair Magazine | We capture the culture of urban barbershops and beauty salons. During my personal and professional self-development journey, I’ve read, studied, and attended workshops about branding. At a conference, earlier this year, I had a personal “ah ha” moment, when a conference speaker asked us what makes our brand unique. A light bulb went off in my head and I realized that my hair was my brand. Personal branding is how you market yourself to others, it includes the clothing you wear, your conduct, your interactions with others, and your body language. All of these factors plus other intangibles affect your professional reputation, which usually impact the size and strength of your personal and professional network. The larger and more powerful your personal and professional network usually translates into an increased value in the business world. I think that some people stereotype Naturalistas and they think that all of us are Afro-centric, Neo-Soul music fans, and Vegans. I don’t know who issues the Afro-centric licenses. I do love Neo-Soul music. But I’m from South Carolina and we love to eat meat in my family. So those stereotypes don’t work for all Naturalistas. For those of us who like to wear what some consider ethnic clothing, I suggest that you wear stylish clothing with ethnic prints and/or colors that are within your organization’s guidelines for professional attire. You might not be able to wear a dashiki to work but you can wear a dress made from your favorite fabric that represents your culture. The same rules apply for your hair. My Hair is My Brand. When I travel to conferences and speaking engagements my hair is always big and bold. I want people to associate me and my natural hair with professional attire, a positive attitude, and a person who is determined to succeed. In the professional arena, my hair is a tool to captivate the audience’s attention. 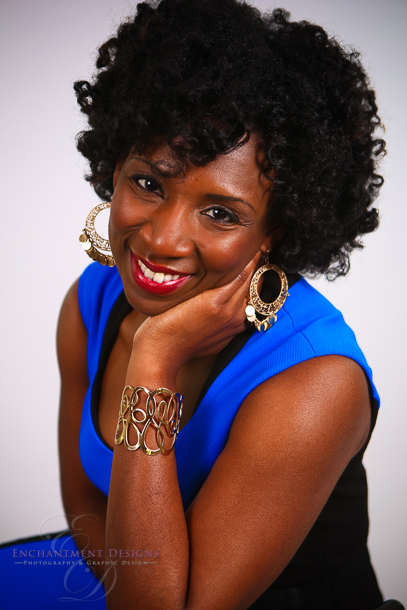 As an entrepreneur, I’ve used my brand as a Professional Naturalista to get my foot in the door at international conferences, radio and television interviews, natural hair events, webinars, and co-hosting a radio show. I’ve heard people say that they look forward to seeing me and my hair. Sometimes, people follow me on social media to see my latest hairstyle. You too can use your hair as a way to distinguish yourself. When you have the attention of an audience, put your brand (which includes your natural hair) on exhibit. While you have their attention, you have the ability to disprove negative natural hair stigmas. So when you are applying for a new job or seeking a promotion, you don’t have to fear losing an opportunity because you have natural hair. Consider yourself a natural hair ambassador who is on a mission to promote your brand. If you are on the fence about how to wear your hair at a job interview, I recommend the following styles: Bun (Curly or stretched), Top Knot Bun, Braided Bun, Coiled TWA, Palm Coils, Flat twist (into Bun), Pin Tuck Roll, Stretched Up Do, Wash n Go, and Mini twist (in a bun). Please remember that you are being considered for an interview because of your experience, knowledge, work ethic, or because you were recommended. So put the focus on your positive skill sets and think of your hair as of reflection of all of your positive qualities. Contact Demetra with questions about personal branding, career questions, interview preparation, and natural hair in the workplace at info@mooreoutoflife.com. Definitely enjoyed this article! I have locs and I too have faced negative sterotypes sometimes with my hairstyle. I’ve had the most crazy questions asked of me like, “Do I wash my hair?” and “If I smoke weed?” Really?! I work in Corporate America and feel that since there are few minorities, we need to assimilate and look like everyone else to fit the mold. However, I’ve realized that my company has hired me for my skills, worth ethic, leadership and what I can produce. My hair is only a small representation of what I can offer. Thanks for your feedback. We appreciate your support and we support your decision to have natural hair. We hope you continue to counter the negative stereo-types by just being yourself. We welcome your suggestions for future content in our publication.